Using Acupuncture and Herbal Remedies, we've helped many couples make their dreams come true. Yes, you really can get back into those jeans again. Acute or chronic pain don't have to ruin your day. We can help. For nearly two decades, we have provided treatment services for pain relief, overall health and well-being, medically supervised weight loss, vision disorders and our specialty; fertility in Albuquerque. Using the latest technology in Acupuncture, Kinesiology, Nutrition, and Herbal & Botanicals, we have helped thousands of people achieve greater health and grow their families. We invite you to check out our services and call us and see how we can help you too. Our team of physical medicine providers utilize both traditional and integrative pain management to help our patients get out pain fast and effectively. From dry eyes to glaucoma, there are unique Acupuncture techniques that have improved these conditions and others successfully. ”My headaches have all but stopped; problems with sinuses are almost all gone. I’m able to participate in life more fully. The treatments have helped my body balance out and I’m beginning to have hair growth which hasn’t been experienced over much of my life. “We welcomed our daughter on September 23rd...Your work to eradicate my cysts and recalculate my erratic hormones no doubt made my body and womb healthy once again. “I started acupuncture for the first time ever and with my condition at 30 I have endometriosis and it affected may areas in my life, so I decided to give acupuncture a try because my only other option was to have surgery and that is not what I wanted to do. Now I feel so much better. My pain has significantly gotten better..."
We've helped so many people find the health they've been seeking. 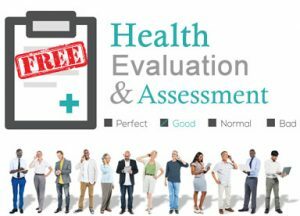 Contact us for a FREE Health Evaluation & Assessment: (505) 298-4325 or request an appointment to come in and see us. We accept almost all major insurances. We are preferred providers for United. Blue Cross Blue Shield, Presbyterian, Lovelace, Aetna, and many more. We would be more than happy to call your insurance to check on your eligibility for Acupuncture coverage. Payment plans are available. Please call for details.